The I2SL Annual Conference Technology and Services Fair gives organizations that meet the needs of high-tech facilities—such as laboratories, data centers, cleanrooms, and hospitals—the chance to introduce their technologies, systems, and services to the I2SL Annual Conference audience. * Denotes a Technology and Services Fair Exhibitor for 10 or more years, excluding 2017. There were a variety of materials available for organizations to promote their participation in the 2017 I2SL Annual Conference. When sharing conference activities on social media, attendees used the hashtag #2017i2sl. The 2017 I2SL Annual Conference postcard provided an overview of the event. The file is ready to download and print or to share it digitally. 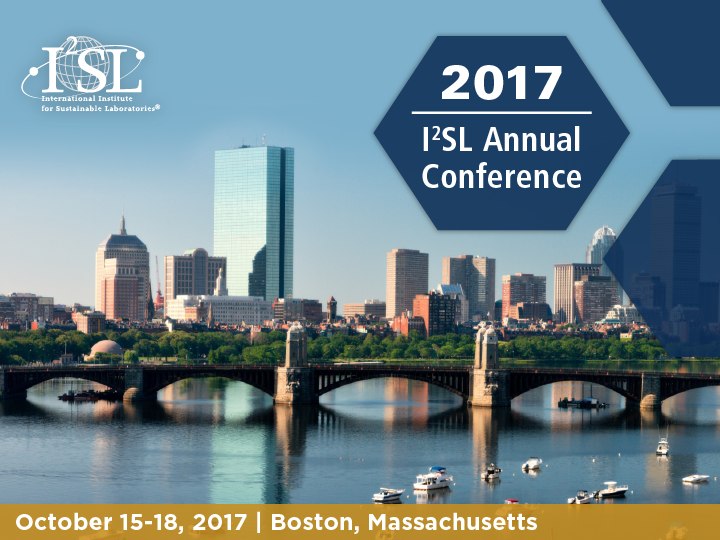 Attendees could promote their conference participation by downloading the 2017 I2SL Annual Conference PowerPoint slide image and adding it to their presentation. Attendees could incorporate these images in their marketing messages or add them to their email signatures.